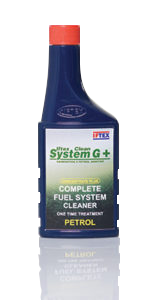 IFTEX CLEAN SYSTEM G+ (FOR PETROL ENGINES) | IFTEX OIL & CHEMICALS LTD.
Removes gum and varnish deposits from injectors and carburetor without taking them apart. Keep intake valve and combustion chamber free of deposit built up. Eliminates drivability problems such as rough idling, hesitation and poor acceleration and restores lost engine power. Does not harm catalytic convertor. Recommended for all petrol cars, Jeeps, SCV’s etc. Empty contains of bottle into Fuel Tank. Fill tank with fuel. Drivenormally. 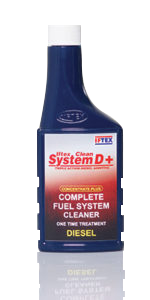 For best results regular use of iftex Clean System G should be used at the rate of 1 ml/ liter of petrol afterwards. 300 ml, 125 ml & 50 ml.